A black kohl or a black eyeliner has become a part of our everyday makeup routine. But some days are special i.e. when you are looking for some change. 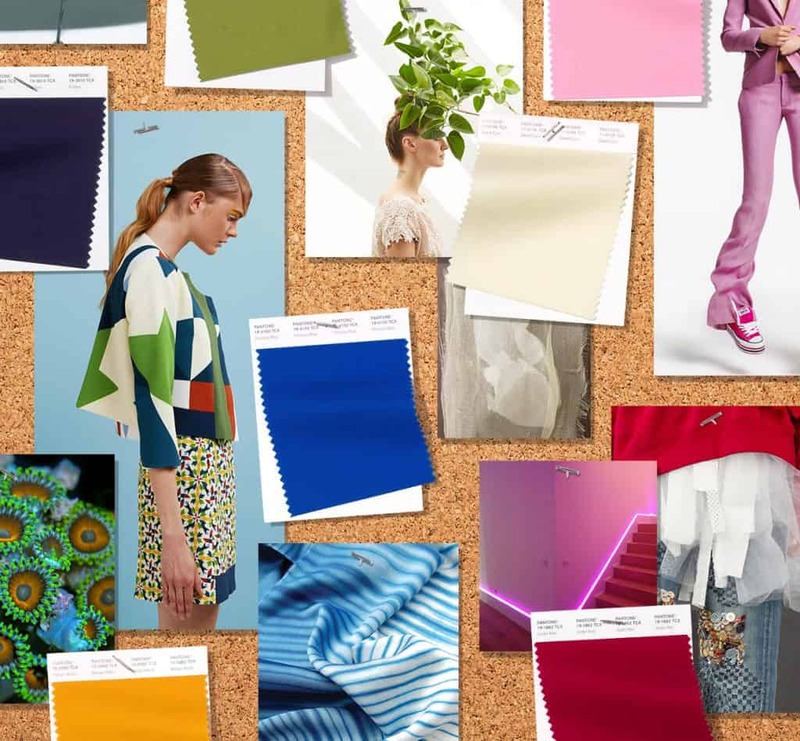 And the pop of some vibrant colors can help you in creating a distinct style. 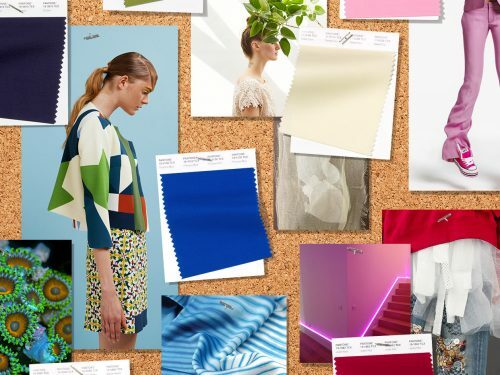 We often restrict ourselves from trying new colors like neon, aqua blue, yellow or green. But these colored eyeliners are so easy to try and also brings the beauty of the eye in a magical way. So read below to find out how to wear blue eyeliner like a celebrity. 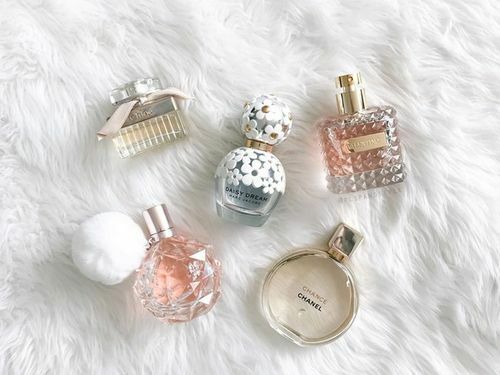 This style is perfect for a party look. To get this look you need to apply a black full sweep winged eyeliner on upper lid. Then complete your water line with blue liner. Complete this look by applying mascara to add more volume to your eyelashes. While applying any kohl on your waterline be sure of its quality as they can also cause irritation in your eyes. 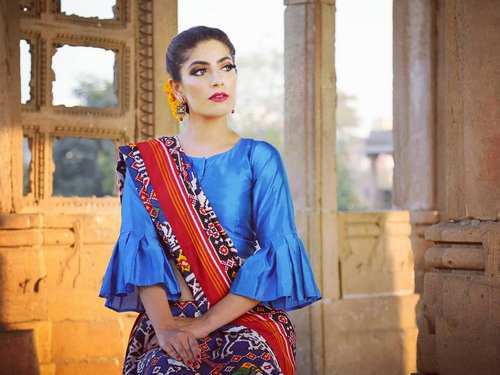 You can use lakme eyeconic kajal in royal blue to get this look. One can easily rock this dual eyeliner style. All you need is a black and blue eyeliner and a bit of highlighter to complete this look. 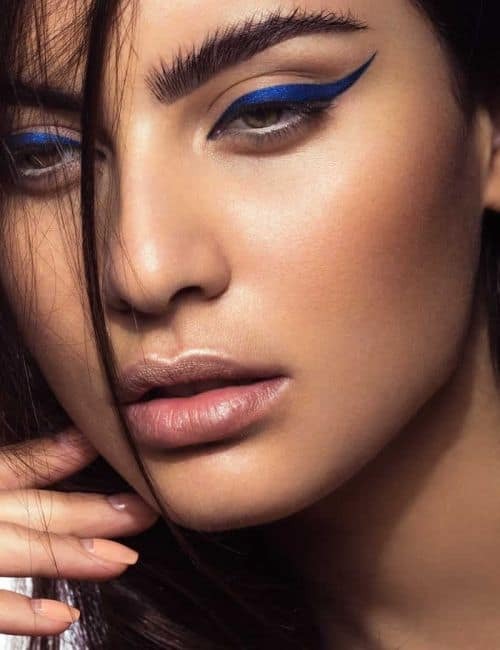 Start by applying thick bold black eyeliner on the upper lid and then create a perfect blue wing starting from the outer edges of lower eyelid slanting upwards. Also add some highlighter to open up you eye. 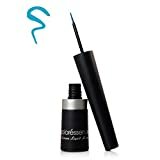 You can try aquamarine color eyeliner to pop up your eyemakeup. The best part of blue color is the variety of shades it offers us. 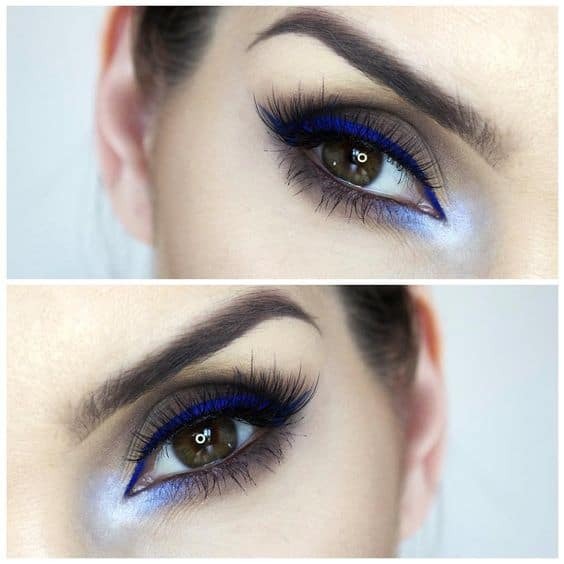 If you want to try blended kohl eye makeup look using blue eyeliner. Then you surely need to try night blue color which can be beautifully blended with black eyeshadow to give your eyes softer look. The stary night blue shade from Avon is the perfect kohl eyeliner that can be used to give a blended look. 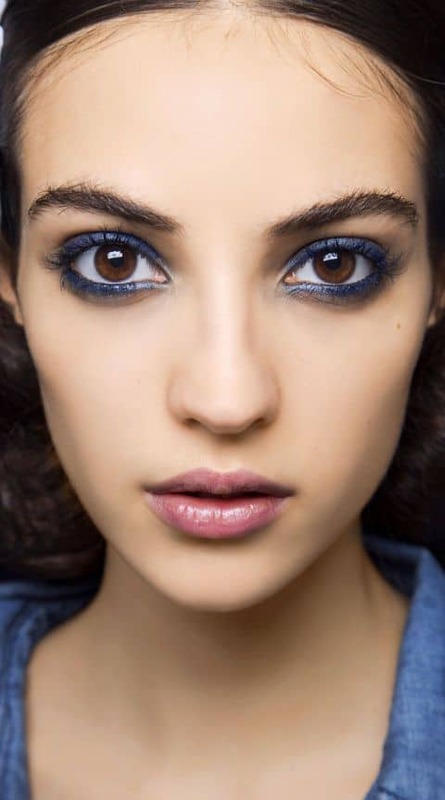 You can give your regular smokey eye makeup look a bit of twist with blue liner. 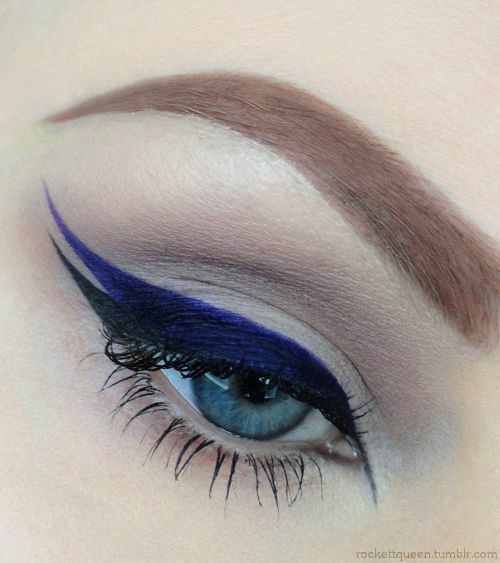 The black eyeshadow and distinct blue eyeliner goes perfectly matched with each other. Add a bit of mascara to oomph up your eye makeup. 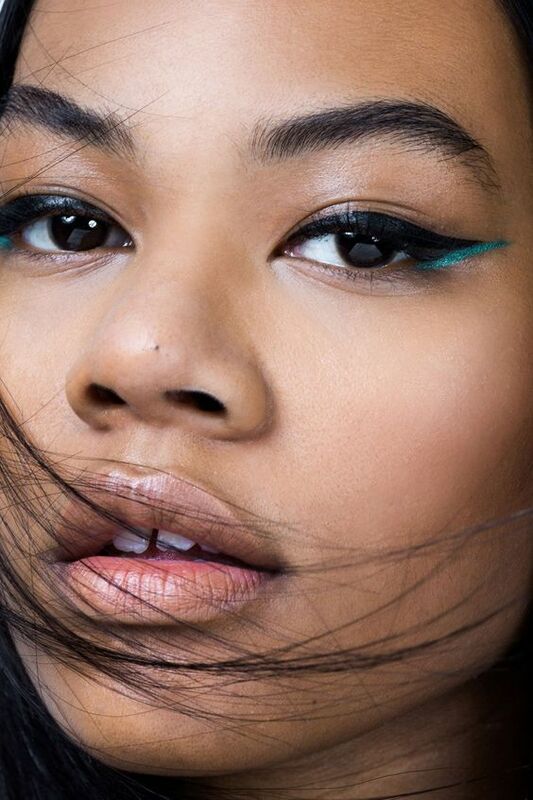 Try Colorbar all matte eyeliner to complete this look. If you want to create a pretty bold statement then why not give a full sweep of sapphire blue color. Complete this look with a white kohl on the inner side of lower eyelid. Make a mark with lustrous sapphire from Maybelline. 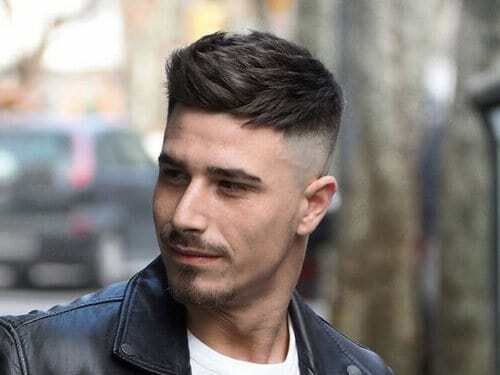 This style is all about creating a bold statement with double layered style. At first you have to create a base winged line from traditional black liner and then go for your blue. It’s always refreshing to try diffrent colors and persian blue looks quite captivating. So why wait, just go for it. 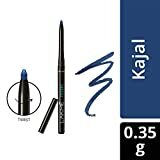 Do share with us your reviews about blue eyeliner and styles that you love the most. 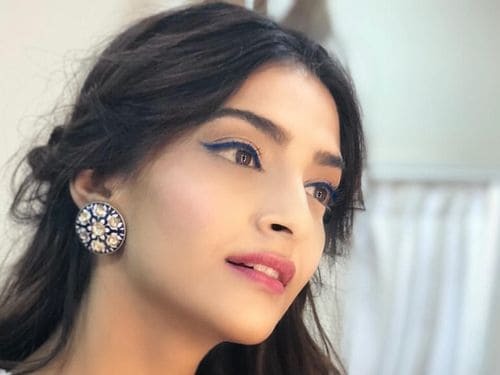 Now after reading our post on how to wear blue eyeliner like celebrity you are ready to rock this style.